I was reading that wonderful book, Painting the Roses White, by Barbara Wenzel this morning. 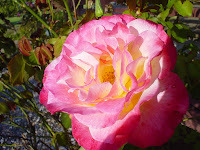 That sent me to the internet to drool over Barbara's favourite roses... which brought me to the David Austin home page at http://www.davidaustinroses.com/australian/. Here, I discovered an orange rose named "Pegasus". I couldn't find a Gallactica, but there are plenty of Gallicas, which is pretty close. 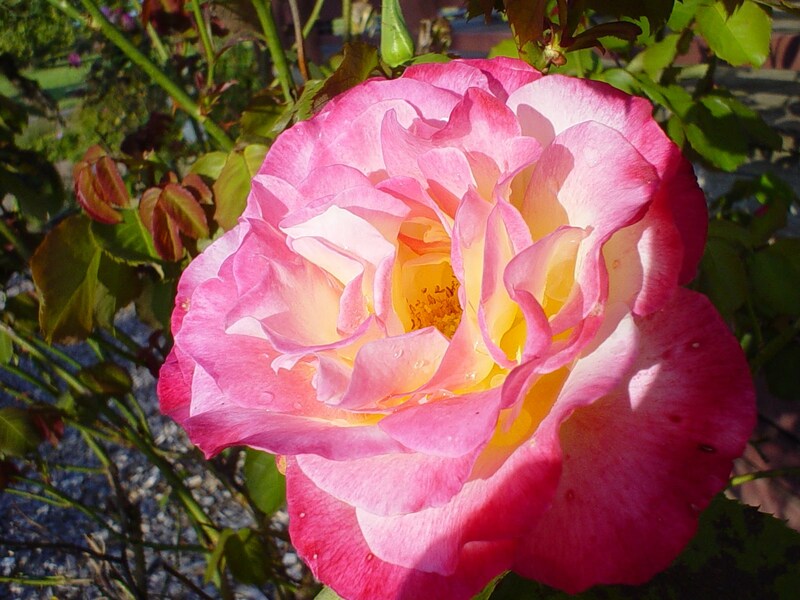 There are several roses called Apollo. I couldn't find a Starbuck, or a Kobol, but there's a minature moss rose named Kara, and three roses called Kobold. There's also a Madam President and more than one Laura, and a couple of Sharons, no Caprica, but two Capricorns and a Capricornus. Reverting to The Doctor, there are several roses named Martha, a florists' rose named Donna, no Sarah Janes (but you could grow a Sarah and a Jane next to one another!) a floribunda named Dodo, several roses named Zoe, and a Katerina. As for Roses... their name is legion. At this point, I gave up looking for Companions (because their name is also legion) and moved on. I found two Enterprises, a Kirke, but no Kirk, a Deanna, no Vulcan, but a Vulcain. Moving on again, I discovered a General Jack, several Samanthas, and a Carter, a Daniel and a Dr. Jackson, no Jonas, but a Young Quinn, a Janet Frazer, lots of Elizabeths, a Beckett's Single (OK, so that's stretching it rather) and two roses named Atlantis. Time constrained me to cease my search at this point, but I was agreeably surprised at the possibilities. If you want a go yourself, try http://www.helpmefind.com/plant/index.php, which kindly allows keywords, "begins with", "contains" and "sounds like"! If you want more than one cookbook, or if you would like to add your own cooking-related gift to the Giveaway, click on the Great Cookbook Giveaway banner on my page. You have until the 16/12/09 to pick up your download. I was working away at Chapter 13 in the early hours when the power went off. The UPS began beeping, and I was bathed in the unholy glow of the various lights on the DVD player and the screen of my computer. I waited a few seconds in case it was a minor glitch, then decided to call it a night. The computer screen light cut out and I realised I should have left it awake for another few moments. Since my computer hates being woken when it's just gone to sleep, I abandoned the idea of shaking its shoulder and instead got up (cautiously) and shuffled forward to rest it on its little platform. I unplugged it, in case the power spiked when it came back on. (I saw a power spike once. Sparks shot out of power points and those power safety thingies melted.) Next, I located the heater and felt my way along its cord to the extension, which I pulled. Then I betook myself to the bathroom. Working by feel, I located my toothbrush and the paste. Having removed the lid, I decided the paste smelt wrong, so I put it back and took another tube from the drawer. Just as well I did, since it later devolved I'd picked up a tube of "A Little Bit of Relief" instead. Having brushed my teeth, I tried to rinse. No go. The pump was (temporarily) dead. I gave up and went to bed. A few mionutes later, some clonks and whirrs announced the power had come back on. All this goes to show how much we rely on electricity. But no, this is not going to be a spiel about how decadent we've all become. If we didn't have electricity, then we'd have candles and matches to hand. We'd have lanterns, ticky-clocks, and ewers of water on the wash stand. Because we do have electricity, we do not have lanterns. Because I have a computer, I do not have a typewriter. As my husband said, what would happen if I had to go back to typing? Well... I'd find running my business almost impossible because I rely on my computer. I am no longer set up with carbon papers, Tip-Ex and ring binders. I'm not even sure it's possible to buy Tip-Ex any more. Where would I buy a ewer? Or a lantern? ... and of course if I lived in the time of lanterns and ewers, I wouldn't have almost brushed my teeth with embrocation. It wouldn't have been invented yet. Today I'm happy to welcome Dale Harcombe to Spinning Pearls as she stops by on her Goanna Island Mystery Blog Tour. Read on after my interview with Dale to see the other stops on the tour. 1. Hi, Dale! Seeing Goanna Island on your book reminded me of an old favourite - Dolphin Island by Arthur C Clarke. Dolphin Island was based on the real life Lizard Island. Is Goanna Island based on a real place? Dale: I have to admit I have not read Dolphin Island. Is it shaped like a dolphin or because there are dolphins there? I didn’t know there was a Lizard Island. To the best of my knowledge there is not such place as Goanna Island. Imagination called it into being after seeing two other small islands at varying times that evoked a response in me. One was in Sydney Harbour. The other up near Fingal Bay. But in The Goanna Island Mystery the editor chose to move it away from the NSW coast to place it near The Great Australian Bite. Not sure why unless she knows something I don’t know. 2. If someone blindfolded you and whisked you off to Goanna Island and ripped off the blindfold, what would you expect to see first? Dale: Scrub everywhere. Spindly dull grey-green scrub and little black crabs that look like spiders scuttling for cover back towards the black rocks. Behind that I'd see the dilapidated house flaking green paint. 3. What comes first when you're writing - character, setting or plot or theme? Dale: Nearly always charcter. The rest gets worked out or just appears as I go along and discover more about the character and where the story is leading. With The Goanna Island Mystery that was not the case as it started with the setting and a character that arrived at about the same time. As a child I loved mystery books so that’s probably how the mystery got in the act. 4. Did you consider other titles for this book, and if so, what? Dale: It actually started life as The Pirate Ghost. I suspect the editor decided to take ghost out of the title because some schools get a bit peculiar about such things. The editor asked for other suggestions from me. After tossing around several, it became The Goanna Island Mystery. I mostly find titles a bit of a problem. A manuscript I’m working on at present is untitled and probably will reman so till something leaps out of the text. Even with poems, which I also write, the title is invariably last. 5. Any funny stories about the genesis of Goanna Island? 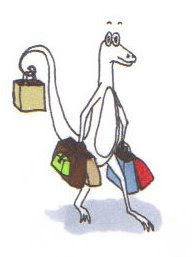 Dale: Don’t know that it’s al that funny but the goanna idea wasn’t originally part of the story. The name refers not so much to inhabitants of the island but to the shape of it. It was a later addition to the story because I was looking for something else to call it other than The Pirate Ghost, so I hit on that idea of having the island in a goanna shape. I decided I liked that idea and so then wrote the goanna shape into the text. It became The Goanna Island Mystery. This doesn’t give away as much of the plot in the title. The last short chapter was also a late addition as, even though the manuscript had already been accepted for publication, I wasn't completely happy with the ending. This ending the editor and I both agreed was more satisfying. Thanks for stopping by, Dale, and all the best with The Goanna Island Mystery. It must be a coincidence... but here I am, filling in time between finishing a job and starting a meal when I hear a piece saying heart disease is now a major killer of Australian women. At the same time, 'cos of course I'm multitasking as usual, I see a piece on the internet about feeding the family for under $10.00 a meal. This sounds good, but I checked the recipes and found most of them are unacceptably high in fat and salt. Please - remember that buying cheaper (fattier) mince and sausages is false economy. You're better off with a can of no-added-salt tuna. I do the occasional editing job for an e-book/POD publisher and I'm quite excited about the ms I have just edited. The author, Donaya Haymond, was born in Thailand to Thai and American parents, lived in China for a while, and seems peculiarly well-suited to write a novel of two people with secrets who come together in a Halloween Romance. 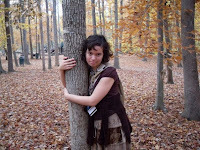 Donaya first wrote this novel five years ago, when she was thirteen. She is currently at work on the last book in the series. 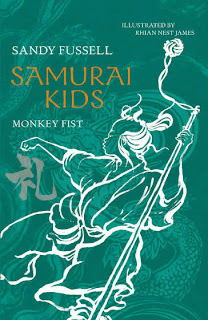 I can't say much about the storyline, since the book isn't yet available, but I can say I loved it. It's not a children's book, but adults who love children's books are likely to enjoy it for the depiction of two affectionate families and two groups of friends coming to terms with... but that's two secrets, for now. When Halloween Romance is released, I'll be able to tell you more, but for now, I can take a leaf out of those weird lists one gets in libraries. "If you love Pamela Dean's Tam Lin, Diana Wynne Jones' Deep Secret, the gothic romances of Barbara Michaels, Madeleine L'Engle's YA family stories and Sally Rogers-Davidson's Polymer, then you'll enjoy Halloween Romance as well." Today I'm happy to welcome young author Brenton Cullen back to Spinning Pearls as one stop on his blog tour. If you want to track Brenton's tour, check out the following stops. Day 2, Sunday 22nd Feb. Here at Spinning Pearls. I’ve already done an interview with you at Spinning Pearls, but I’ve come up with some questions for the blog tour. A. Well, I am not ordinary, but very different from the other kids in my classes. But I do think that people come down a bit too much on teenage authors. Sonya Hartnett hated being referred to as "the teen writer". I feel sort of the same way, as people do not take me as seriously as they would take a 35 yr old author. Q. You write non fiction (in your biographies of Australian writers) and also fiction. Which style of writing comes more naturally to you? A. This is hard to say. Non-fiction is easier but I prefer fiction and fiction is harder but I prefer to not do nonfiction all the time! Q. Do you have other creative talents, such as music or drawing? A. I am not fond of music, except for listening to it! My drawings would, put it this way, want to make you throw them in the bin! I enjoy some art, but am terrible at it, especially painting! Q. Do any of your peers at school like writing too? A. Yes, my best friend and I co-wrote a novel in 6th Grade. Q. If you could interview any writer, living or dead, and write his or her biography, which one would you pick, and why? A. I love this question!! I would love to fly to their house and sit down for a two hour interview or something with J.K. Rowling, or, much more likely(!) 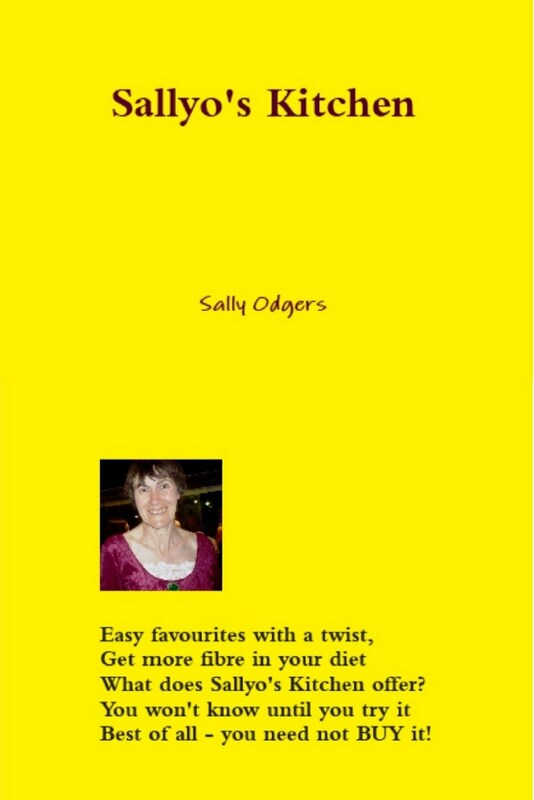 my mentor, Sally Odgers. Thanks for answering my inquisitive questions, Brenton. Good luck with the rest of your tour. Welcome everyone! Today is the third day of this Event. It's very informal, as you will note. Each day I'll be putting up a tip or trick to help writers make the most of contest writing... not only the Paperback in Your Hand Contest, but other competitions, too. Please be sure to read the comments for Parts 1 and 2, as the writers had some useful tips of their own. If you plan to enter this contest, you'll find all the details at http://www.affordablemanuscriptassessments.com . Consider your style, genre and target readership. You probably have considered these already, but have you looked at them as a whole? Writing style is closely tied to readership and to genre. The style that is perfect for a category romance won't suit a hard-boiled thriller. The chatty first-person style that fits a chapter book might be quite wrong in a detective story. One of the most common errors I see is a style that fights with the genre, or with the age group. For example, there are very few science fiction stories for very young readers. This is because such young readers don't know the conventions of sci fi, and so need a lot explained. A lot of explanation in a short book overshadows the action and character. Thanks for reading, and be sure to come back tomorrow for another winning tip. Any comments will be welcome. Welcome everyone! Today is the second day of this Event. It's very informal, as you will note. Each day I'll be putting up a tip or trick to help writers make the most of contest writing... not only the Paperback in Your Hand Contest, but other competitions, too. Please be sure to read the comments for Part 1, as the writers had some useful tips of their own. If you plan to enter this contest, you'll find all the details at http://www.affordablemanuscriptassessments.com . My second tip is simple. Submit a manuscript of the right length. The rules call for a manuscript of 25,000 words or under. This can be short stories, a novella, a short story or a chapter book, poems, a biography, a cook book... well, just about anything! Technically, a story with five words in it or a haiku poem would fall within the rules, but remember, this is a Paperback in Your Hand contest. How many paperbacks have you seen with one or two pages? A book of ten poems would probably have fewer words than a chapter book, but it would cover several pages because poetry is traditionally displayed in short lines with plenty of white space. A recipe book would likewise take up more pages than the word count would suggest. A chapter book would cover more pages than a short story of the same word count. A children's picture book would take up the traditional 32 pages... but since this particular contest cannot provide for coloured illustrations, any pictures would be black and white, and, additionally, will need to be provided by the author. All these matters need to be taken into account by entrants in this contest. When planning your entry, visualise it as a paperback. How will it look? Will it be impossibly slim? Will it need saddlestitching, or will it be perfect bound? If you can't "see" a proper book, then maybe you should reconsider your entry. Comments? Questions? Come back tomorrow for another tip. Welcome everyone! Today is the first day of this Event. It's very informal, as you will note. Each day I'll be putting up a tip or trick to help writers make the most of contest writing... not only the Paperback in Your Hand Contest, but other competitions, too. First up... if you want to enter the contest, check out the rules at http://www.affordablemanuscriptassessments.com . Now, here comes the first tip. It might be self-evident to some people, but it obviously isn't to others. Rules are there for a number of reasons. Some rules make sure there's a level playing field for entrants. Others make life easier for the judge(s). Still others are there to help weed out entries. If you're unsure about the meaning of a rule, you should contact the contest organiser(s) and ask. 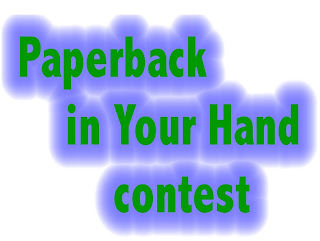 For example, the Paperback in Your Hand contest asks for manuscripts of 25,000 words or under. As it happens, the contest will accept mss of up to 26,000 words, simply because editing will often remove this many from the finished product. However, this is not always so. Some contests are strict about the word count, and you may be disqualified if you overshoot the mark. If you have any comments or questions, send us a comment. Then tune in tomorrow for the next tip. 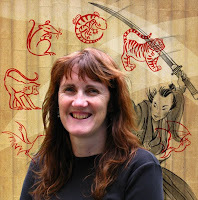 Hello everyone, and welcome to this stop on the inaugural Aussie Blog Tour! 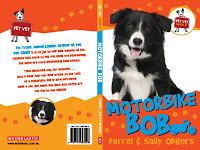 Today author Sally Murphy has kindly agreed to answer my inquisitive questions regarding her new book, The Big Blowie. Q.1. The Big Blowie is a title to send me for the swatter. Please provide one (1) true-life horror story concerning one or more big blowies. A.1. Blowies (or blowflies if you are not Australian) are truly insidious creatures. They are worse than ‘normal’ flies, in their ability to just stick around, being big and buzzy and gross. Living in hot, dry parts of Australia, I’ve spent many hours trying to get rid of persistent blowies. The worst is when they start buzzing in your bedroom in the middle of the night. If you turn on the light to spray or sat them, they go quiet and you can’t find them. But a story? Hmm – let me think. Perhaps this one: yesterday morning I took a bag of kitchen rubbish to the green wheelie bin outside. When I opened the lid, it was wriggling with big juicy blowfly maggots. One of my darling children had taken some rubbish out for me the day before and not pushed it in far enough. As a result he lid was ajar, and a blowfly, attracted by the delicious aroma of week old rubbish had decided to make my bin her nursery. Eeeeewww. Fortunately for me, yesterday was bin day and the whole stinking mess has now made its way, to the local tip.2. Q.2. The best way to make a big blowie into an ex-blowie is via a folded newspaper. Discuss. A.2. Oh definitely. And it works for other pests, too. After my recent holiday, I bought in the morning paper, which had been buried deep in a bush in my front garden. When I started to unroll it, a family of big cockroaches came scurrying out. The newspaper was hastily employed to say goodbye to the cockroaches. It turned out it was not that day’s paper at all, but one which had been lost in the bush for some time, long enough to become a little cockroach heaven. A.3. Lol – MY children wouldn’t dare look feral. Okay, well maybe occasionally. Very occasionally. Is there such a thing as frequently occasionally or occasionally frequently? But no, Syd doesn’t look like any of my children, though I do have sons about his age, and three of my kids do have blue eyes. But none of them have yellow hair. Come to think of it, I’ve never seen a kid with yellow hair. Q.4. Oh, the story. Yes. Did the Aussie Aussie Aussie theme set you thinking about Things Aussie, such as thongs, chops, and blowies? Or was it the sight of a Big Prawn, Big Pineapple or the daddy of them all, the Big Spud that set you off? A.4. Yes, the story was definitely prompted by the series theme, although I’ve always been strangely fascinated by Big Things, and on my recent trip across Australia insisted on not just viewing as many as possible, but also photographing them. The Big Blowie, came about because the publisher was looking for very Australian stories for the series. I wanted to have a good chance of being accepted, so I tried to think of things were very Australian – I came up with the Outback, blowflies, and Big Things . The guidelines also mentioned that it wanted books to deal with issues, so I decided to include a drought in my book because drought is a huge problem here in Australia. From this list of ideas, I came up with a plot where the drought is affecting a family’s livelihood, so the child comes up with the idea of building a big blowfly (blowie) to draw tourists in. Q.5. How do you individualise the voice of a young protagonist? One pervasive problem in books at this level is that the protagonists CAN begin to sound generic… boy, smart, eight-to-eleven, scrape-prone, or girl, smart, feisty, tomboy or proto-feminist, eight-to-eleven, scrape prone. A.5. You are so right. In these shorter length books you have less room to develop the protagonist’s character, and there is a risk of them all sounding the same. I sued first person narrative for this book (I tend to use it a lot, actually), and there is always a risk in first person that the character sounds just like you, the author. For Syd, I tried to have him focus on the things a kid would focus on, rather than having him have an adult take on the world. For example, Syd’s in a rural area in a drought. For an adult, there would be worries about stock and crop prices, concerns about water for the house and property, financial concerns. These issues are not what’s at the top of Syd’s list of concerns. He likes Dougie and the tourists coming to visit – he’s a social kind of kind – so his concern is with the tourists drying up when the water does. Kids are, by nature, egocentric, so he’s concerned about the things that affect him. But he’s also proactive. He can’t fix the drought, but he can come up with a way to get the tourists to come back, and that’s exactly what he does. Q.6. Is this book a move to rehabilitate the humble blowie? A.6. No, I think they’re beyond redemption, quite frankly. But it is a move to make the most out of the things that we can’t change. Before Syd comes up with his big idea, he and his mum are being bothered by blowies. That’s the source of his inspiration. The blowies don’t go away, and although they don’t appear much again in the text after Syd gets his idea, the illustrator (Craig Longmuir) has them there in the illustrations right till the last page. 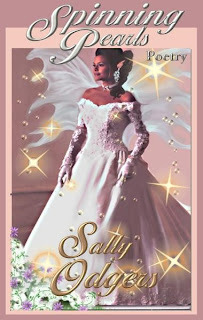 Thanks, Sally, for visiting Spinning Pearls. And readers, why not follow the tour? 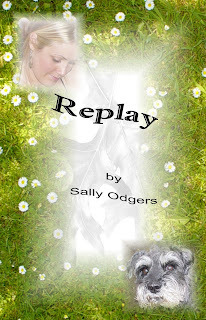 Sally Murphy has been to..
To see one of the walks I take regularly, click on the link above.